The opalescent glass of this exquisite three piece clock set is beautifully offset by its golden ormolu mounts, creating a stunning visual contrast. 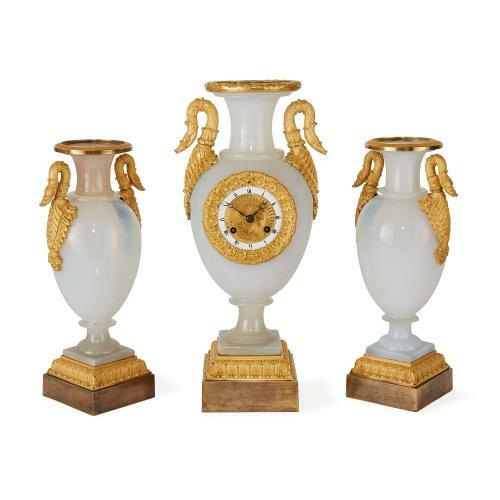 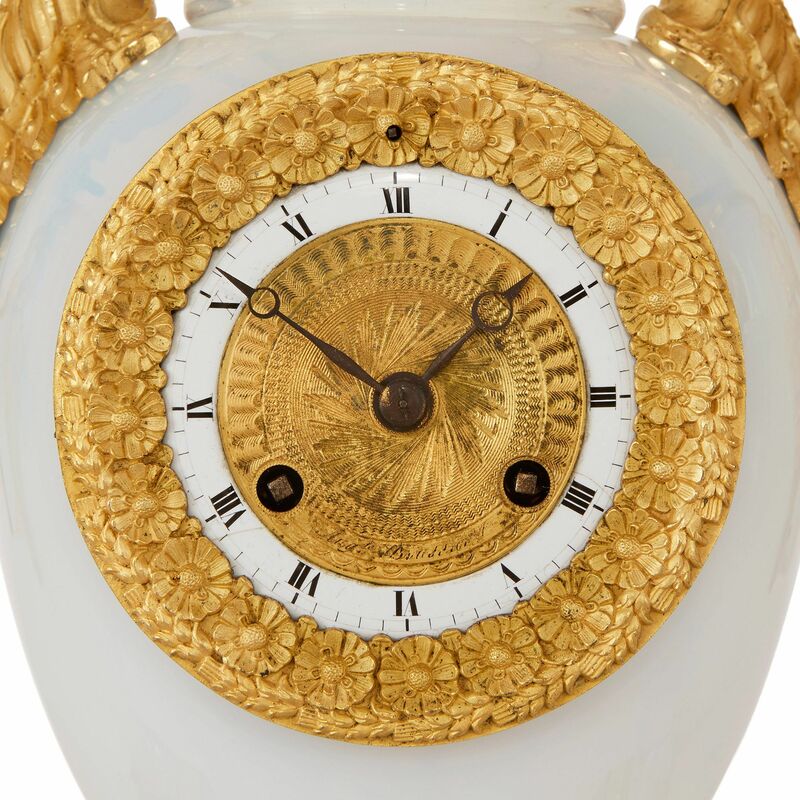 From the Restauration period; comprising a central clock and a pair of flanking vases, the central vase shaped clock with circular dial signed 'AUG. 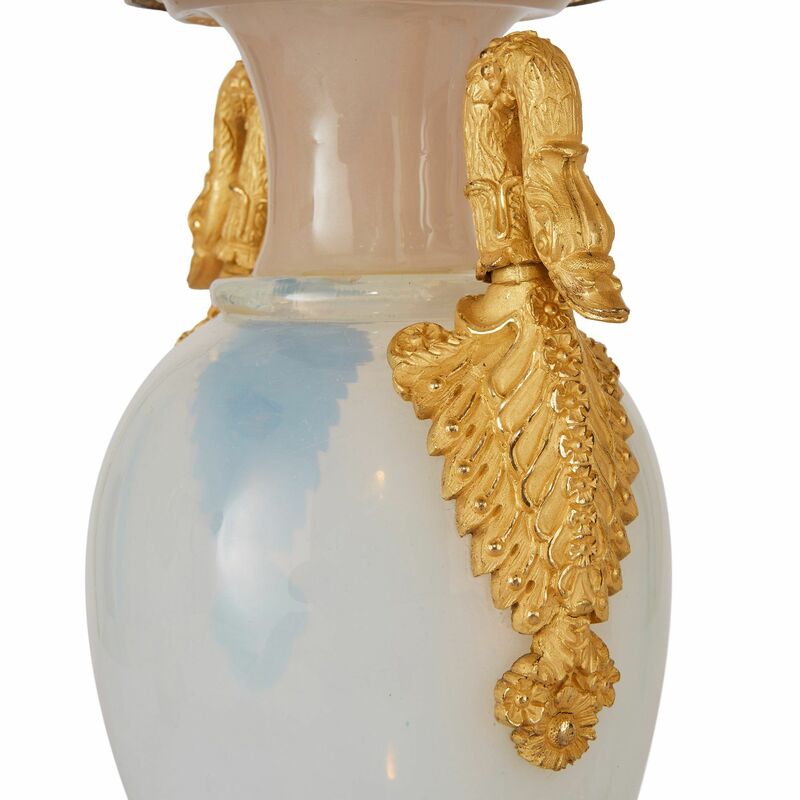 de Boussiard' and twin ormolu swan-head handles, the pair of vases similarily decorated.